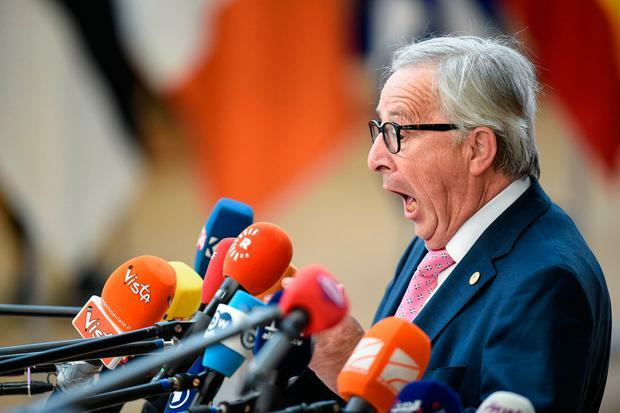 China could open its economy if it wished, European Commission President Jean-Claude Juncker has said, with the European Union calling on countries to avoid a trade war even as pressure mounts on Beijing over its industrial policies. Playing host to Mr Juncker and European Council President Donald Tusk, Chinese Premier Li Keqiang stressed the need to uphold free trade and multilateralism as the United States and China become increasingly mired in a trade dispute, with no sign of negotiations on the horizon. US President Donald Trump has warned he may ultimately impose tariffs on more than $500bn worth of Chinese goods – nearly the total amount of US imports from China last year – to combat what the US says are Beijing’s trade abuses. Long accused of protectionist tactics that make it a difficult place for foreign firms, China is trying to reverse that narrative amid the escalating trade war by approving huge investments, such as a $10bn petrochemicals project by Germany’s BASF. At the business event, Mr Li invited executives from European companies operating in China to share their problems. Airbus complained about delays in government approvals that had “caused a great loss” for the company, and BMW sought its greater inclusion in the creation of industry standards. “Let me say we will ensure the implementation of the signed contracts and we will cut the time for approval procedures,” Mr Li told Airbus China president Eric Chen. Mr Li also asked companies to tell him of complaints they had about the “theft of intellectual property” so that he could take “great measures”. Mr Tusk urged China, the US and other countries to avoid trade wars and reform the World Trade Organisation, equipping it to combat forced technology transfers and government subsidies, complaints underpinning Trump’s tariffs. “It is the common duty of Europe and China, but also America and Russia, not to destroy this order but to improve it, not to start trade wars, which turned into hot conflicts so often in our history, but to bravely and responsibly reform the rules based international order,” Mr Tusk said at a meeting with Mr Li.